Skip the exchange and withdraw your CoinPoker funds in ETH without leaving the app, now included in addition to direct ETH deposits! After reviewing player feedback on our deposit and withdrawal process, it has come to our attention that new members of our community still struggle with CHP withdrawals. While we continue to allow you to withdraw to your verified wallet in CHP and exchange on your own, starting today you will also be able to withdraw funds in ETH. As soon as you verify your CoinPoker wallet address, you will be able to deposit or withdraw funds in both CHP and ETH from your CoinPoker account. For more information on how to get started on CoinPoker and verify your wallet address check out this guide. If your wallet is ready and verified, log into the CoinPoker app and click on the Wallet icon to access deposit and withdrawal options. Click on the “Withdraw” tab. You’ll notice that in addition to CHP you will also be able to select ETH. Simply enter the amount of CHP you would like to withdraw and you will immediately see the ETH conversion. Once you’re ready just click “Withdraw” and your funds will be on their way. 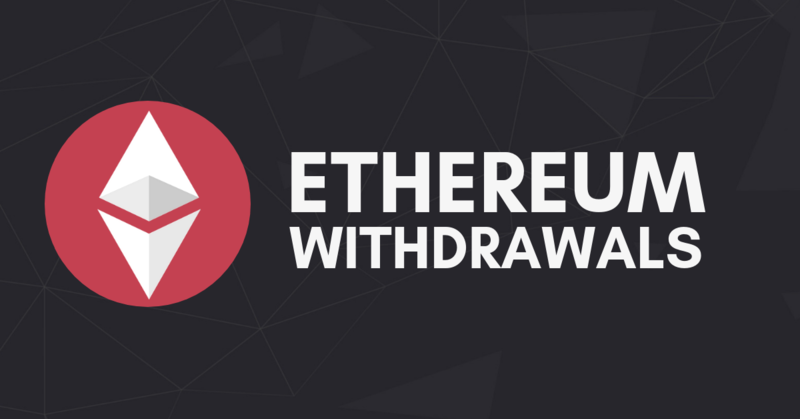 If you have any questions about ETH withdrawals on CoinPoker feel free to drop them in the comments below. If you are struggling with this feature please do not hesitate to get in touch with our support team on Telegram, or by sending an email to [email protected].